Ask yourself this; “when is a Porsche not a Porsche?” It might seem like a curious question, but the German marque has produced several models over the years that have raised this debate – perhaps none more so than the 914. Why, you may ask. The 914’s story is an interesting one, particularly as it was originally commissioned by Volkswagen as a replacement for its outgoing Karmann Ghia model – referred to by some as a Beetle in fancy dress. 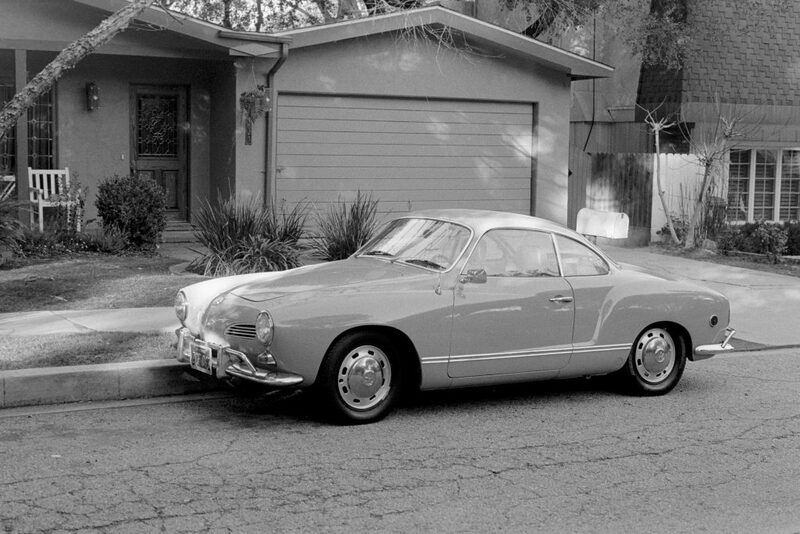 Agreed, the Karman Ghia did share much in the way of its mechanicals with the Beetle, but in terms of its looks it was incomparable. With svelte lines born from its Italian designers (at Ghia), it was very much a desirable and affordable little coupe/roadster of its time. It may have also been described as ‘a poor man’s Porsche’, which is perhaps the seed of the 914’s identity crisis. As is commonly known, the founding principle of Volkswagen was to build cars that were affordable for everyone – the company’s name literally translates as ‘people’s car’. Porsche is arguably the antithesis of this as an ‘exotic’ marque with many of its models being out of the reach of the average person, making it a highly aspirational brand. Perhaps that’s why VW and Porsche have aligned over the years to develop models aimed towards a mid-market segment. Volkswagen and Porsche are intrinsically linked together by Ferdinand Porsche himself. At the request of one Herr Hitler, Ferdinand Porsche was fundamental to the foundation of VW, having penned its original people’s car, (the Beetle). He ultimately created what one could describe as a masterpiece of timeless design, of which over 21.5 million units would be built between 1937 and 2003. This must count for something, even if the connoisseurs of performance and exotic cars would barely give the Beetle a second glance. Oh, where’s Herbie when you need him! The 914 was produced in two variants, the Karmann built Type 914/4 which came with a flat four VW engine and its sibling, the Type 914/6 built by Porsche, carrying the flat six 2.0 litre engine from its ‘entry level’ version of the 911 model, which coincidentally Porsche was also looking to replace. From the outset, VW had planned that the 914/4 would be branded as a VW and that the 914/6 be branded as Porsche. 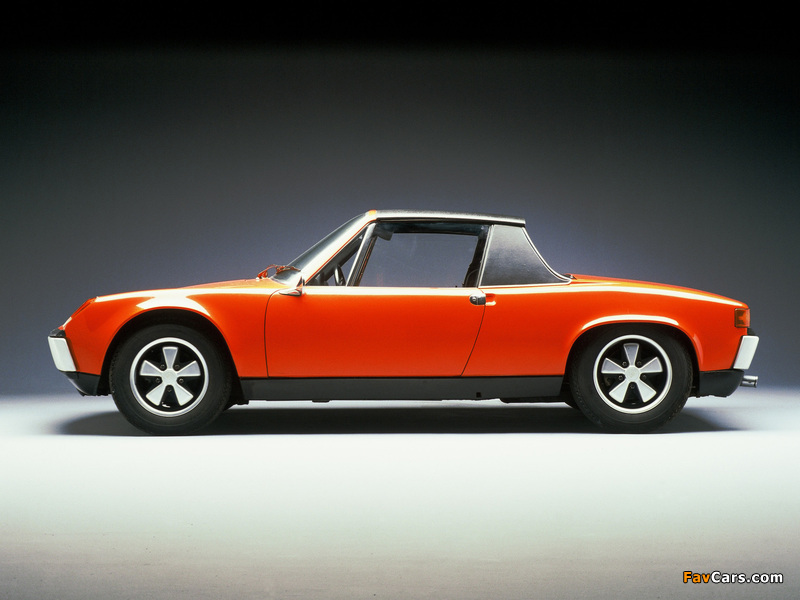 However, Porsche suspected that a VW branded 914/4 variant wouldn’t be positively received by customers in north America, arguably its primary market, and so they negotiated with VW to badge both 914 variants as Porsche in the U.S.
As a joint venture the 914 aimed to serve both marque’s needs, even if they were diametrically opposed, so to speak. The 914/4 was positioned at the top of the VW range, whilst the 914/6 was intended as the affordable Porsche model. The principle of this concept may have been a strong one, but it created a major challenge for the Stuttgart marque, especially following the death of VW’s Chairman in 1968, which disrupted the long-standing trust between the two companies. VW’s incoming Chairman, Kurt Lotz, had no affinity with Porsche and he quickly imposed his view that all rights to the Type 914 belonged exclusively to VW. Moreover, if Porsche wanted to lay any claim to the 914/6, it could only do so if it shared the costs of tooling, which it reluctantly did. However, this almost defeated the paradigm of building an affordable entry level Porsche model, as by the time it reached the showrooms the 914/6 was nearly as expensive as Porsche’s 911T model, due to the cost of investment demanded by Lots. 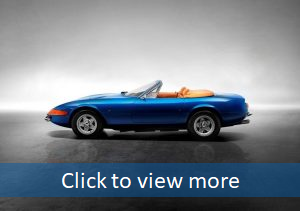 Consequently, sales of the six-cylinder model were slow and it was the 914/4 that achieved the greater success, even eclipsing sales of the 911. Porsche eventually dropped the six-cylinder engine from the 914/6, replacing it with a newer, more powerful version of VW’s four-cylinder engine, which it carried right up until the end of the car’s production in 1975. To deliver the 914 project, Volkswagen and Porsche had created a joint-venture company (simply known as VW-Porsche) also encompassing Audi, which had become a sub-brand of Volkswagen in 1966. When the time came for the 914 to be replaced, a new model (the 924) was planned, using the same successful ‘blueprint’ for development and production. However, this time around, the VW variant was to be badged Audi. Porsche was again tasked with fully developing the new model. This suited the Stuttgart marque, as it needed a replacement for its own (interim) entry level 912E model, which was filling the void left by the successful 914. VW had even committed to fully funding the tooling; however, before the project gained any significant traction, it abandoned the project due to severe financial difficulties brought about by declining sales and increasing development costs following the 1973 oil crisis. At the same time, Porsche was experiencing its own financial difficulties with slow sales of its 911 model. However, perhaps fuelled by the 914’s success, it took a major risk, but one that allowed it to seize the opportunity to buy out all rights to the 924 from Volkswagen. Porsche committed itself to developing the 924 alone, although the car still adopted many VW/Audi parts, which reduced costs, helping create the affordable entry-level model cash strapped Porsche desperately needed. It sold over 150,000 units, effectively saving the company from insolvency; its huge gamble had paid off. Despite its success, the 924 was maligned by some ‘purists’ because of its Audi engine, which was also front mounted, hence the accusation that it wasn’t a ‘kosher’ Porsche. It was – as much as the outgoing 914 had been. Today, VW’s stable of exotic automotive brands extends to Bentley, Bugatti, Lamborghini and Ducati. Would anyone claim that any of these marques are no longer the real deal? I very much doubt it, so why should Porsche be any different? 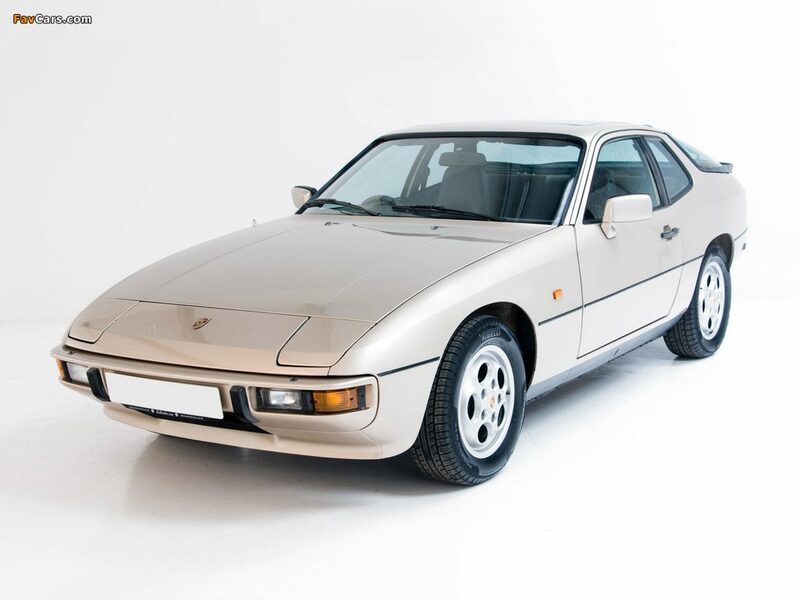 The 924’s success not only saved Porsche from insolvency, it allowed the Stuttgart marque to grow significantly to the point where it began buying high numbers of shares in Volkswagen. At its peak, Porsche is believed to have owned approximately 46% of VW Group’s shares – an astonishing turnaround of fortunes. However, in a further twist, Porsche had subsequently been plotting a takeover of VW Group, quietly acquiring options to buy additional shares that would increase it’s stake to 74.1%. When this became public in 2008 it created a huge scandal, with many hedge funds losing vast sums of money. As fate would have it, Porsche shortly afterwards suffered a major financial meltdown brought on by recession and the recall of monies borrowed to buy its VW shares. Just as things were once again looking extremely bleak for the Stuttgart marque, VW bizarrely came to its rescue (well here’s a timeline of what actually happened) and took the company into its fold – so now Porsche was a VW, right? Porsche’s recipe for success had been based on its ability to develop a range of new models, beyond the ubiquitous 911 model. Sometime around 1980, Porsche began planning a new model to replace the 924. Rather than start again from scratch, it was able to repurpose the 924’s underlying platform to develop the 944, which was to all intents and purposes a 924 on steroids, or more precisely speaking, a road going interpretation of its 924 Carrera GT race car. The 944 sported a wider body and a new 2.5 litre Porsche developed four-cylinder engine, which was essentially half a 928 unit. It firmly bridged the gap between the outgoing 924 and the 911. Audi was VW’s aspiring luxury car brand, aiming to directly compete with BMW and Mercedes in the premium/luxury car segment. 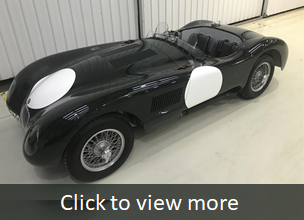 One has to say it has more than succeeded and perhaps part of its success could be attributed to the fact that it is (metaphorically speaking) Porsche’s cousin. As more globalisation has taken place in the auto industry, attitudes have changed, and platform sharing has become much more widely accepted and commonplace. For example, the Porsche Cayenne shares its platform, including its electronics, with both the VW Touareg and the Audi Q7. 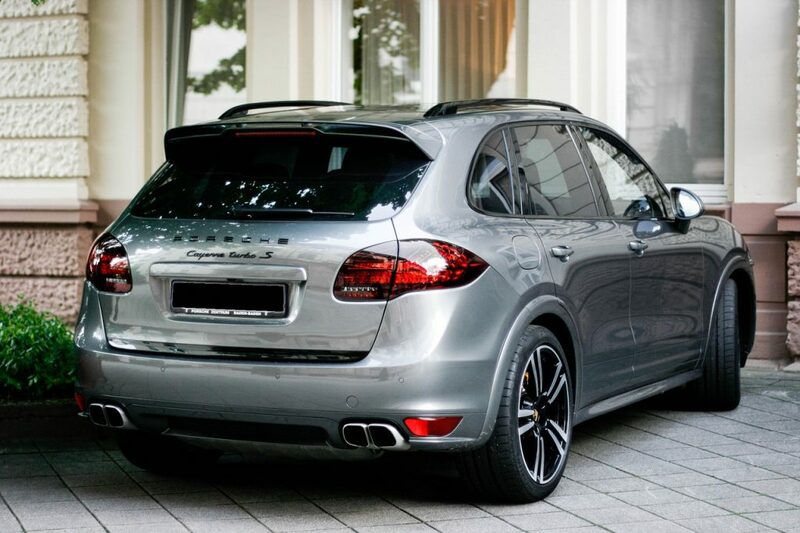 So, does this mean that the Cayenne is really a Porsche that isn’t a Porsche? Of course not. It shares some of its ‘DNA’ with VW-Audi, just as the 944, 924 and 914 before it. If we look all the way back through the 911’s evolution to the original Porsche 356, one could argue that it is actually reminiscent (dare I say it) of the Beetle in a number of ways. Perhaps the better way to put it would be that VW carries some of Porsche’s DNA and that the two are inextricably bound together by a brilliant automotive engineer. He was highly creative and innovative, even if others sometimes didn’t share his vision, such as Daimler-Benz (aka Mercedes), who rejected his idea to build a small and light-weight sports car. 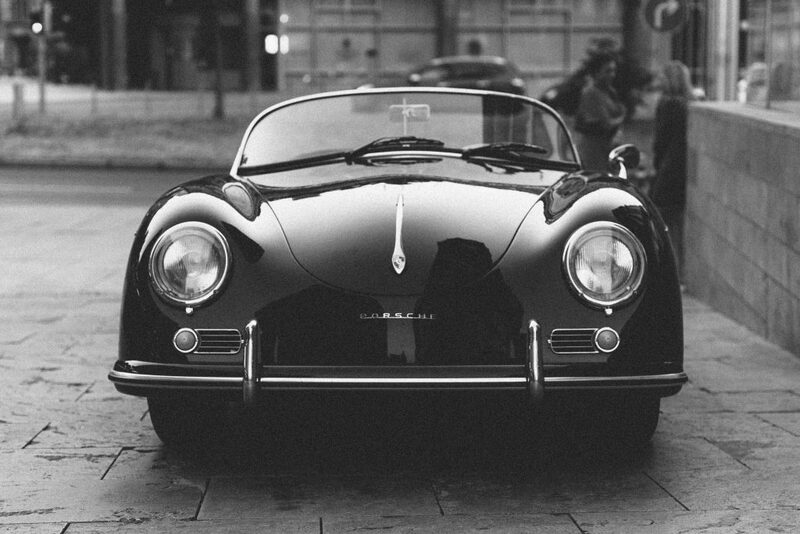 Thankfully, Ferdinand Porsche followed up on his dream and committed to starting his own company at the age of 56. Mercedes’ loss was clearly VW’s and every sports car enthusiast’s gain. Ferdinand Porsche’s vision has given us one of the truly great sports car marques. As we move into the era of hybrid-electric powered cars, carry this thought. The Porsche designed ‘Lohner-Porsche Mixte Hybrid’ introduced in 1901, was the first petrol-electric hybrid vehicle on record. That’s well over a century before Porsche’s 918 hybrid supercar saw the light of day. As for the 914’s part in this story, its success ultimately held VW and Porsche’s relationship together just when they needed each other most. It also created a blueprint for their future, even though it may have been a little complicated along the way. Just like Ferdinand Porsche himself, it was surely one of Stuttgart’s little gems. Of course, the spirit (or could one put it even more strongly than that, and say the entire concept) of the 914/6 became the Porsche Boxster, launched to great acclaim in 1996. It was a “poor man’s 911” that wasn’t so poor. In fact the mid-engine location and layout are strikingly similar to the 914’s, and come much closer to the ideal weight distribution for perfect handling, as opposed to the 911’s overhanging rear engine layout. 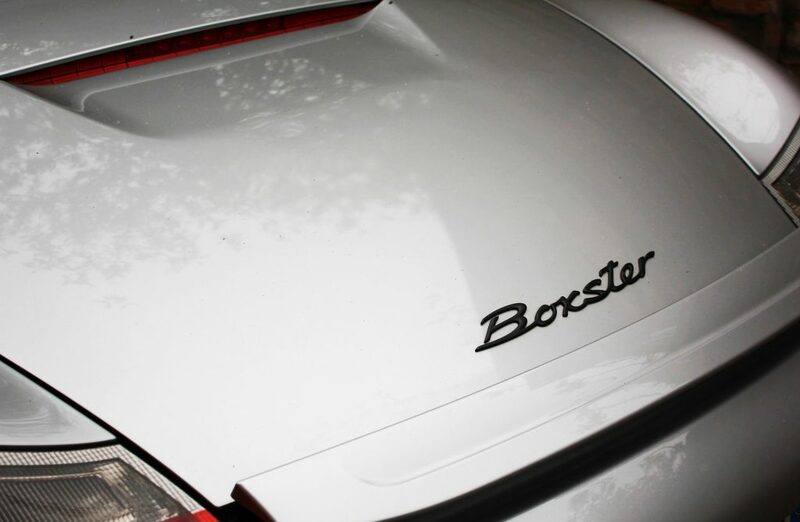 In a further twist to this story, in 2016 for the Boxster and Cayman mid-engined cars, Porsche dropped the iconic flat-6 engine layout, and controversially adopted the more thermo-dynamically efficient flat four configuration, thus going full-circle back to the original 914 concept. The technology has changed leaps and bounds, but this brainchild, 50 years after the launch of the 914, remains and has become a “proper” Porsche.